This System includes an S2.4BTX-G3 Beltpack Transmitter and an S2.4 RX1-G3 single channel receiver and a Lavalier Microphone. Transmitter easily locks to receiver. 16 channels assures interference free space. Transmitter uses 2x AA batteries, easily obtainable. 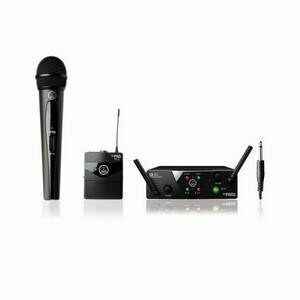 A Digital Wireless Microphone System that is licence free. 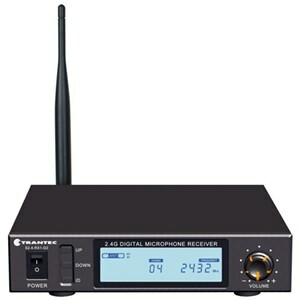 It uses the 2.4GHz Digital Audio Frequency Band, and provides 16 switchable channels. This Beltpack is a full facility transmitter designed to interface with both the S2.4-RX1-G3 and the S2.4 RX2-G3 It packs a lot of power with a 10mWatt RF output, the maximum allowable under current legislation. Adjacent channel interference is drastically reduced by providing wide spacing between channels. 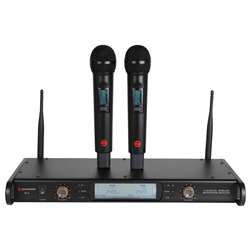 Up to 8 channels can be used simultaneously. The digital display shows the Channel Number, Frequency and Battery status. Input is via a 3.5mm Mini Jack socket which can be locked. 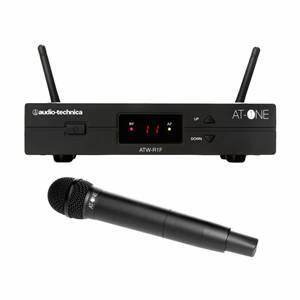 The gain is variable to accommodate the varying outputs of microphones or equipment likely to be attached. 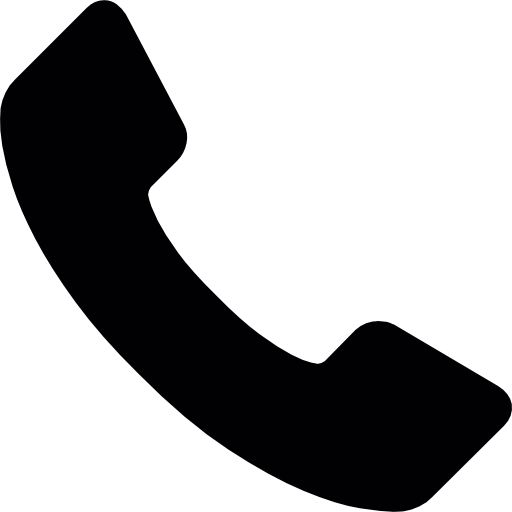 A Mute Switch mutes the output. Linking between Beltpack and Receiver is both Automatic via an Infra Red link. 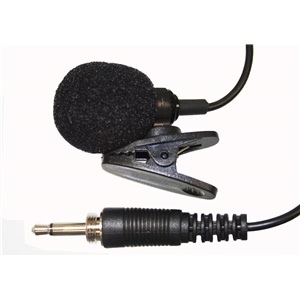 A miniature clip on Electret Lavalier Microphone with foam windshield. The frequency response is tailored to vocal frequencies with a slight presence rise to maximise clarity. Without the foam windshield the microphone is quite inconspicuous. 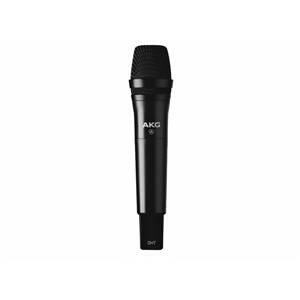 A natural sounding microphone with a long pedigree. Supplied complete with a locking minijack plug ensuring the lead will not become accidently detached. A full facility receiver embracing a host of facilities. The digital display provides Channel Number, Frequency of operation, RF signal strength and audio level. 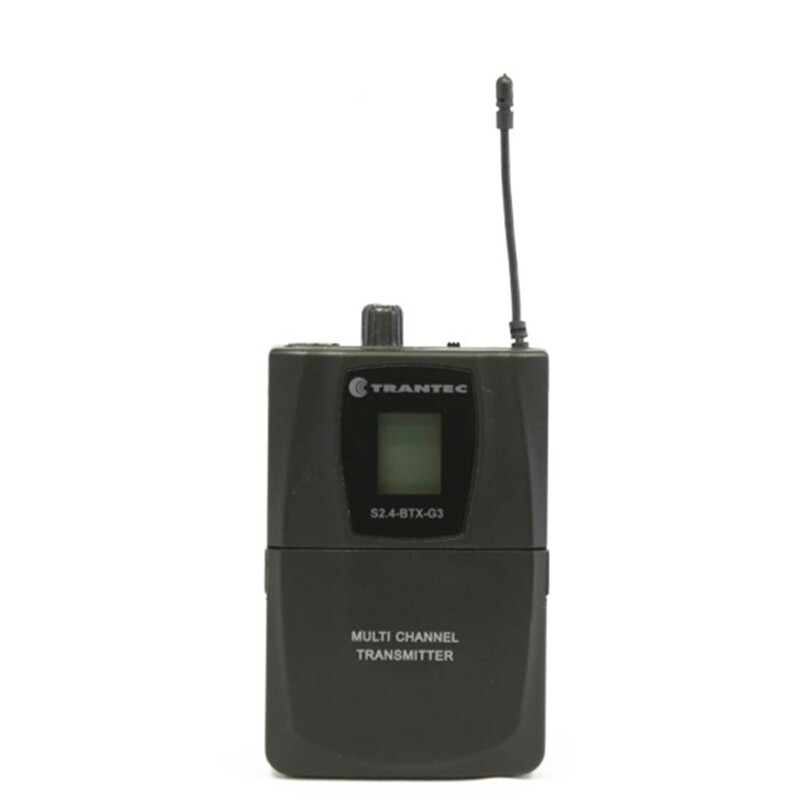 The channel number can be changed manually or automatically locked to the transmitter via an Infra Red link. The menu can be displayed at the touch of a button. Encased in a metal box to enhance the screening against interference. Two receivers can be linked and mounted in a 19” rack. The 2.4GHz band is full of electronic signals from remotes, door bells, self guiding lawn mowers to name but a few. 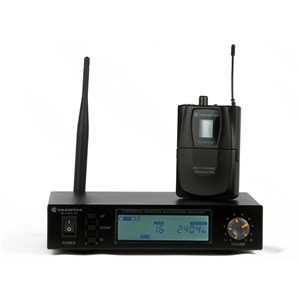 It is comforting to know that this system automatically filters out radio interference, and provides a clear and natural sound thanks to the comprehensive application of Digital Audio Processing Technology, whilst the smart . 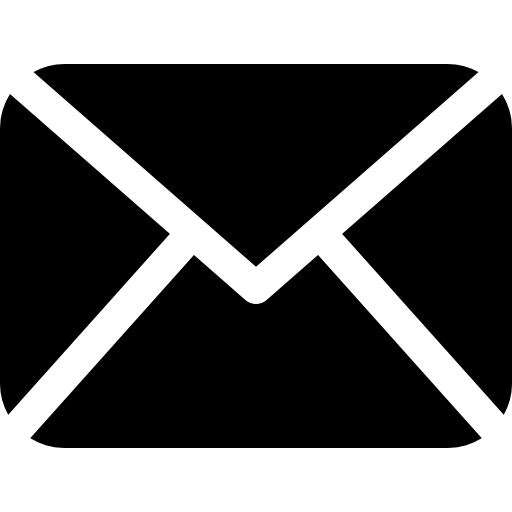 ID code Identifying Synchronisation Technology makes installation much easier and reliable. Supply 2 x AA batteries Battery Life. Available Channels 16. With up to 8 channels active simultaneously. Signal To Noise Ratio >95dB. Audio Output connectors XLR and Jack.